You are here: Home / Beauty / The Philips OneBlade: Gift the Blade that Does it All! There’s nothing more attractive than a man who takes care of his skin and facial hair. Whether he rocks a beard, goatee or prefers a clean-shaven face–he needs a tool that will help him achieve any look. The Philips OneBlade is a hybrid styler that can trim, shave and create clean lines on any length of hair. 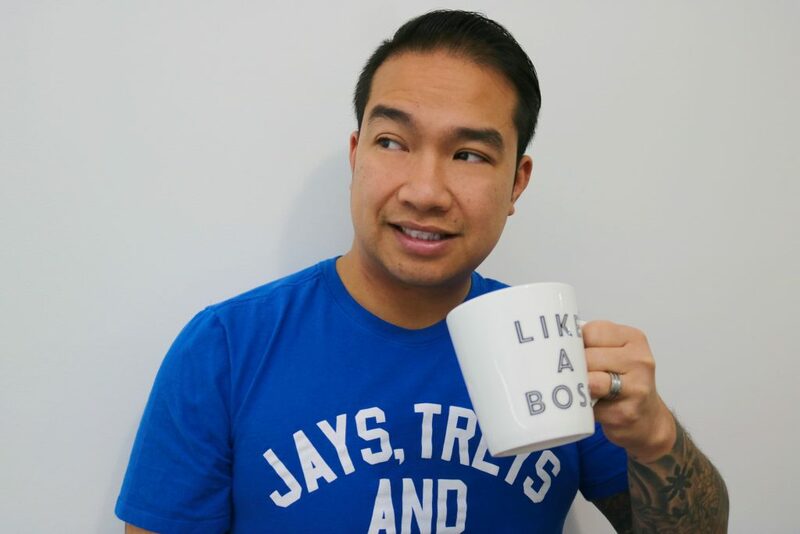 With the holiday season in full-force, finding the perfect gift that is affordable and practical is always a goal that we all try to achieve. I know that I do, I like giving thoughtful gifts that keep on giving. Now, getting gift ideas for men or gift ideas for husbands who have it all can be tough but not with the Philips OneBlade. It is a styler that the man in your life will love since it’s versatile, easy to use and great at what it does. It simply does it all! Darasak is typically Asian and his hair isn’t as thick but, he prefers to wear his facial wear in a goatee. He also likes to be clean-shaven too so he alternates between those two looks. 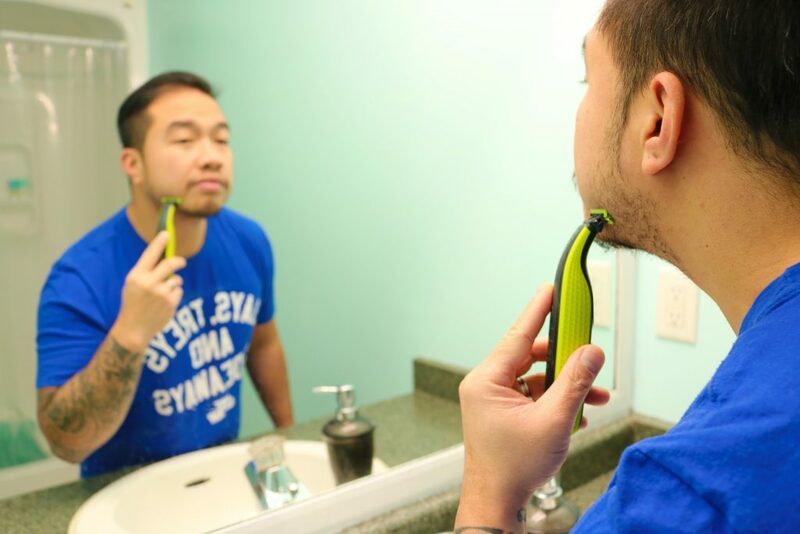 He is always in search of a tool that can help him trim and shave his facial hair and line-up his side burns and the Philips OneBlade does it all. 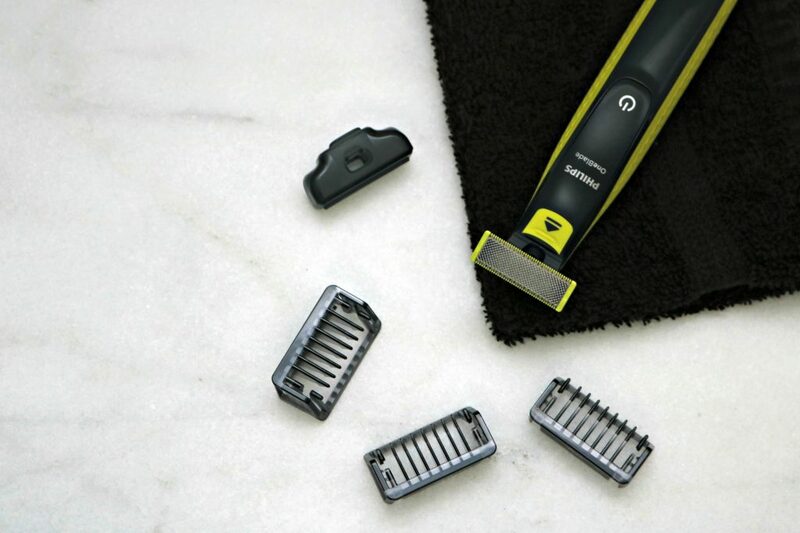 The unique OneBlade shaving technology integrates a fast-moving cutter (200x per second) with a dual protection system – giving you an efficient comfortable shave on longer hairs. 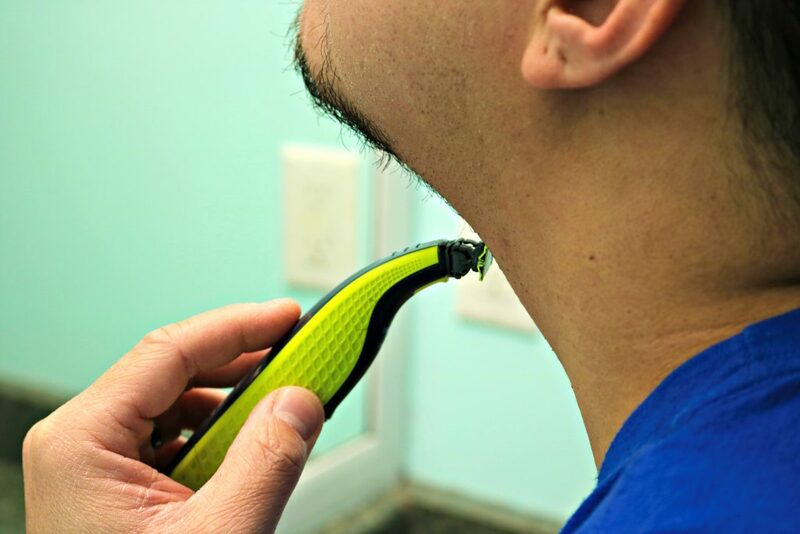 OneBlade does not shave too close – so your skin stays comfortable. Trim your beard to a precision stubble length with one of the included 3 stubble combs. 1mm for a 5 o’clock, 3mm for a tight trim, and 5mm for a long stubble. Darasak loved that it was super easy to use and cut his shaving time in half because he didn’t have to use shaving cream and didn’t need to have a trimmer to line up. So, it eliminated the need to use two separate tools. Clean-up is simple, all you have to do is rinse the Philips OneBlade and the sink opposed to banging the razor on the side of the sink and then having to clean up the hairy shaving cream. Mind you, this is Darasak’s preference, since the OneBlade is water-resistant, you can still use shaving cream. I definitely would say it is the best electric shaver and the best disposable razor all wrapped into one. Every guy that we have recommended this razor to has loved it and now can’t live without it. 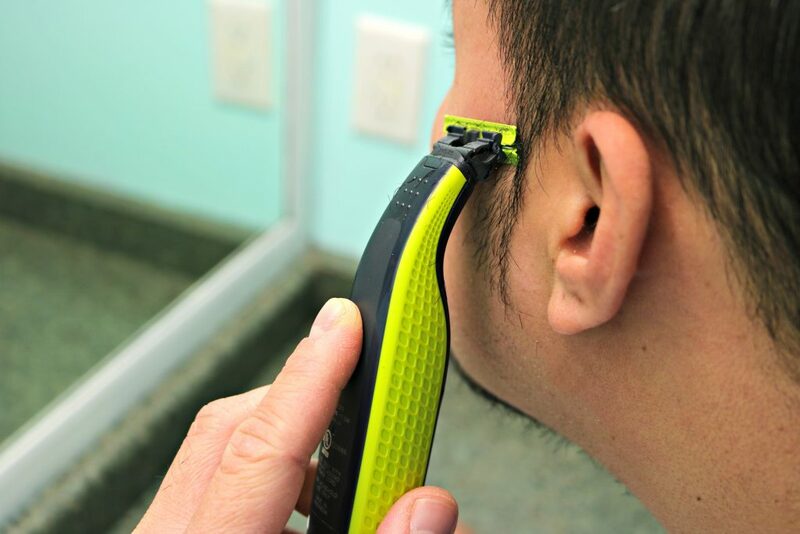 The OneBlade leaves a smooth finish but without the skin irritation, razor bumps or burns or in-grown hairs. This is one of the results that he felt was superior and most important to any man, no matter the length of their hair. It is easy to maneuver and it isn’t big, clunky or hard to use. The shape allows for a sturdy grip all while being lightweight. With a rechargeable battery and a charge that lasts 45 minutes, you know that you will have a couple uses before having to charge. Another thing that he loved was that the blades last up to 4 months. They never clog, pull or nick. It’s an all-in-one tool and as aforementioned, it eliminates the need for multiple tools. So, hello counter space! Even though the Philips OneBlade was released just a few months ago, it’s already changing the game. While it makes an excellent tool at home, it just as good when you travel. It has a protective case for the razor head and since it is lightweight and a nice compact size, it’s easy to pack in luggage or gym bag. That way, they can keep up their beard and facial hair routine, wherever they go! Darasak is already planning to take his on our trip down south for our upcoming vacation. He decided to trim his goatee then decided to go baby face and just shave it all off! He’s feeling like a boss after a nice close shave, no shaving cream and saved time! 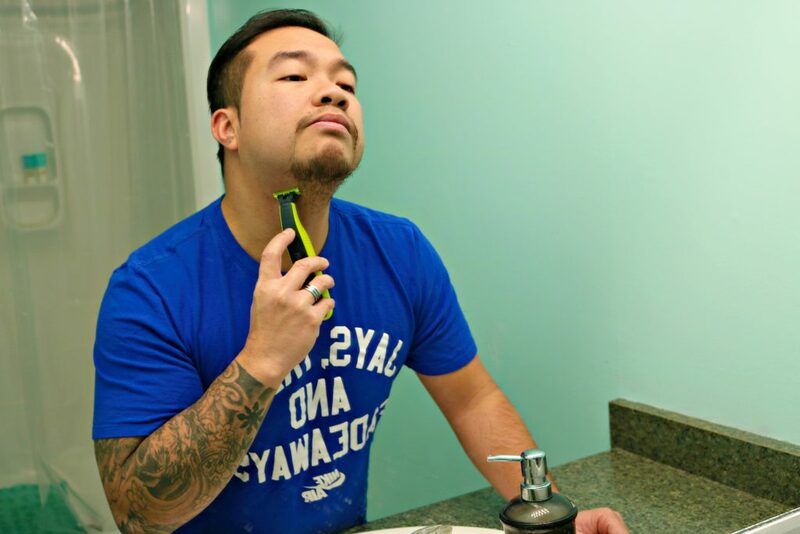 He highly recommends this trimmer, it will really change the way you or the man in your life shaves! If you’re looking for a great gift to give to the man in your life this year, consider the Philips OneBlade. Makes a perfect stocking stuffer or even an upgrade for them or even for you! The Philips OneBlade retails from $44.99 with replacement blades starting at $19.99. You can purchase a Philips One Blade at Canadian Tire, Walmart, BestBuy, Loblaws, London Drugs, Jean Coutu and on Amazon. For more information, check out Philips OneBlade’s website. What do you look for in a shaver? What a great gift for the hubby, adult sons and every adult male on your list. Small yet get the job done. 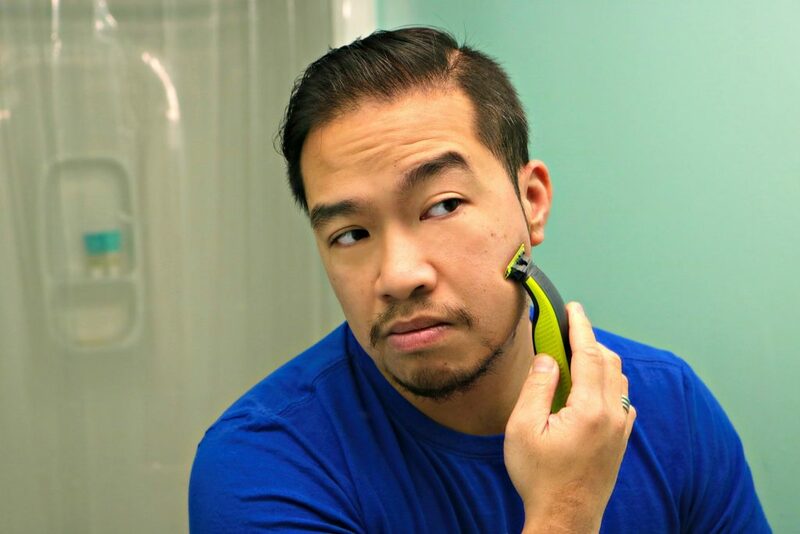 Philips One Blade looks like a versatile trimmer and would make a great gift for both my older son who just started shaving, as well as my husband, who has a beard. I love that you can use it with either shaving cream or without and that it can be used for someone who wishes to just trim existing beard/facial hair, or completely shave. Oh, it is perfect for both! 🙂 It is affordable too, so it makes a great gift. what a great blade..my brother would love this. Looks like a great item to give to a special man in your life as a Christmas stocking. Thanks for the idea. My pleasure, it really is a great gift. Husband-approved! OH! My husband has really sensitive skin and always goes through razors trying to find one that works for him. I need to get him one! Oh, this would be great for him! No bumps or nicks! My boyfriend would really like this, will make a great stocking stuffer. It really is, I hope he enjoys it! I need to get this razor for a stocking stuffer. I think my Husband will love it. This razor would make it a lot easier to get the different styles for beards. This is a great price point to. Definitely! It really is great for all types! Thanks for telling me about this product! I am still shopping for my hubby! I think he will love this! Its a great tool and easy to pick up! 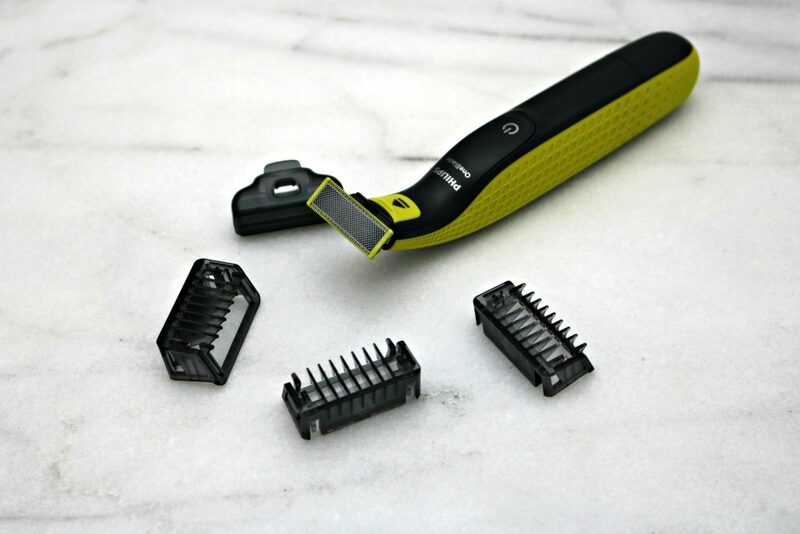 Looks like a great grooming tool! I think my husband would love it! It works really well, my Hubs was impressed! Ooh, this would be an awesome new tool for my bf to try out. It looks like it works like a charm! It does, Darasak has not been this happy with a razor in a long time! This is cool! I love how small it is! My sons need this. I should put them in their stockings. They do make great stocking stuffers! I have never heard of he Philips OneBlade before. It would be the perfect gift for my 18 year old son who needs to look clean shaven for work! This would be perfect for him! This looks like a fantastic blade. I should get one for my husband. It gives a great shave. This would make such a great gift for my husband! Gonna have to go and find this now. Sweet, hope he liked it! I absolutely love that it does so many things. My guy would love something like this. Just the stocking stuffer I was looking for, for my husband! I always try to go practical yet awesome, and this is it! My hubby has taken to disposable type razors as he was not feeling like he was getting a good shave with his electric one. It sounds as thought his razor would meet his needs as save on the disposables. He should give this a try! Sounds like a great razor, I am going to have to pick one of these up for my husband to try. It is a great razor, he loves it so far. On your review i picked one up for hubby and he really likes it. Aww, that is so awesome. I am so glad he likes it! The Phillips One Blade would be a great razor. Thanks for the info. My hubby’s favorite trimmer! He uses it every week!